Low Cost Controllers. Simple Programming. Great Value! Create any animatronic scene with our free LifeApe SceneBuilder Software, Fast! Ideal solution for Haunted Houses​, Escape Rooms, Museums, Amusement Parks, Theatrical Events. 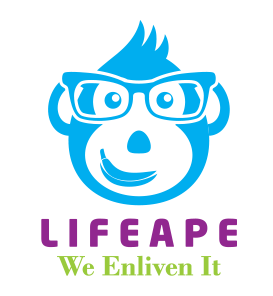 Free technical support with guaranteed LifeApe engineer response​. 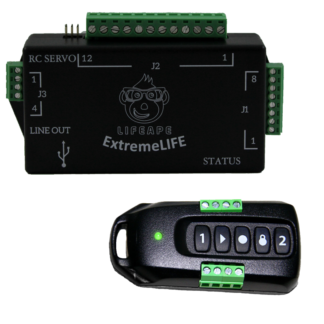 The ExtremeLIFE controller can handle any animatronic challenge. 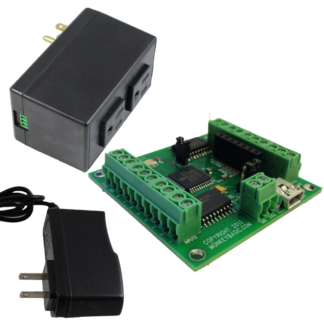 This fully featured controller is software programmable using the free LifeApe SceneBuilder. Create simple or complex scenes with ease. Makes recording VSA, LOR, or SceneBuilder servo motion even easier. 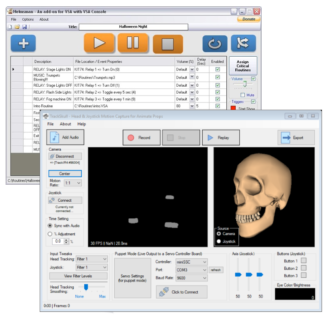 Use a joystick or a TrackIR 5 camera to record your actual head motions.